Bonio Original Dog Chews are the original delicious dog chew. Oven baked to enhance the flavour and filled with healthy ingredients, these chews are peace of mind for both your dog and you. Because of the crunchy texture of each chew, they will help to clean their teeth and massage their gums, and the added vitamins and minerals are sure to keep him happy and healthy. 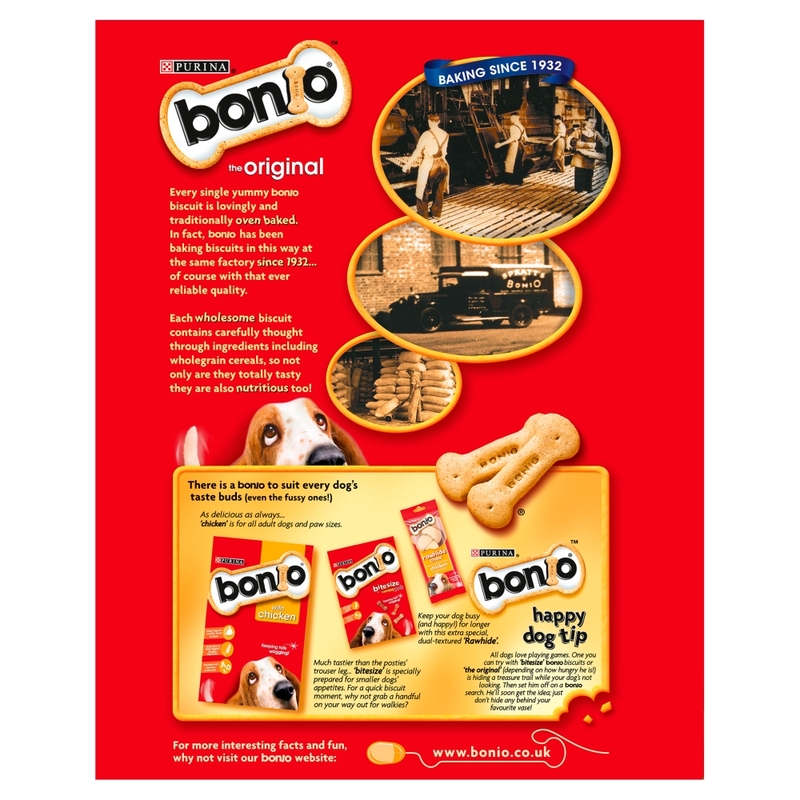 There are currently no questions for Bonio Chews Original Dog Treats - be the first to ask one!